ESO introduces the most advanced applications made on top of artificial intelligence technology and blockchain technology. 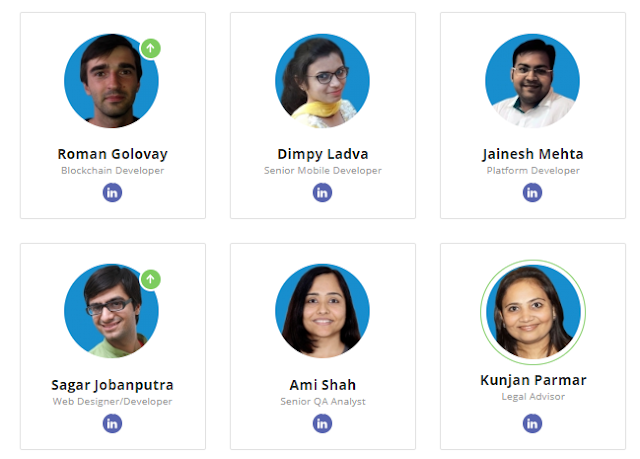 While existing solutions offer to solve just one problem at a time, our team is up to build a secure, useful, & easy-to-use product based on private blockchain. It will include easy cryptocurrency payments integration, and even a digital arbitration system. Poseidon’s platform tracks and manages the entire carbon ecosystem. For users, it will be as simple as opening an app. It connects consumers and retailers with Ecosphere+'s forest conservation projects around the world, meaning that a product’s carbon footprint can finally be embedded in its sale. The technology empowers everyone to contribute through their everyday purchases – something which has never been possible before. Behind it lies a blockchain that will revolutionise how the world relates to the carbon. On Stellar’s uniquely efficient network, we can verify carbon credit status in real time, guarantee that consumers are directly supporting emission reduction projects, and settle all-new microtransactions using our native tokens in seconds. The blockchain provides transparency for all purchases and offsets. The following comparison table shows the tremendous environmental impact of Bitcoin and Ethereum. Interestingly, a transaction on the Stellar network not only uses significantly less electricity than both Bitcoin and Ethereum, but also uses only a fraction of the electricity that a VISA transaction requires. 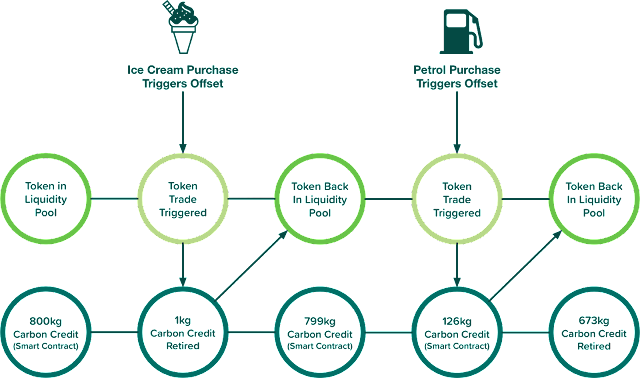 Our proprietary smart contract solution will hold carbon credits from project inception to retirement. It combines on-chain and off-chain smart contracts to make sure crucial carbon data remains public, without compromising user experience or confidentiality. Both in-store and online, here’s how Poseidon makes any choice eco-friendly. After joining Poseidon, Amy buys a pair of shoes. The retailer's POS system shows that the shoes have a carbon impact of 12kg. It adds the price for the required carbon offset to her bill. Amy pays using her credit card. The retailer's POS shares her purchase details with Poseidon's backend. Poseidon's backend automatically matches the purchase with Amy's profile. It purchases Poseidon's native tokens, using Amy's payment. Through these native tokens, it then acquires 12kg worth of carbon credits. It adds these credits to Amy's profile, updating the blockchain with the transaction details. All these steps happen behind the scenes - Amy's user journey is seamless. Within seconds, Amy receives a notification that her shoes are now carbon neutral. To her, they've been offset instantly. She looks at her phone, opens up details of the forest-protecting project she has supported, and decides to share on social media. Earth’s temperature is maintained by a process called the greenhouse effect. Certain greenhouse gases (such as carbon dioxide) naturally trap heat in the atmosphere, stopping it from radiating back into space. Ordinarily, enough heat is trapped to keep the planet at a steady, habitable temperature. But human activity is releasing high quantities of greenhouse gases into the skies. This traps more heat than necessary, which in turn warms the planet, disturbing the balance of nature and threatening life. Burning fossil fuels is one such act. Deforestation is another. Deforestation also destroys one of our planet’s natural carbon sinks, as trees absorb harmful carbon through photosynthesis. There will be a point at which the damage – from burning carbon, felling trees, and more – will be irreversible. Consensus has been reached: Climate change is real. Greenhouse gas emission levels are rising rapidly. So too are global average temperatures, and humanity’s actions are at the heart of it. The consequences are extreme weather events, forest fires, spread of diseases, flooding, and mass migrations, the impacts of which place huge strains on global economies. Climate change is a global phenomenon that affects everyone, no matter who or what is causing it. Being part of an impact fund, Ecosphere+ projects are accountable to the highest environmental, social and governance standards. 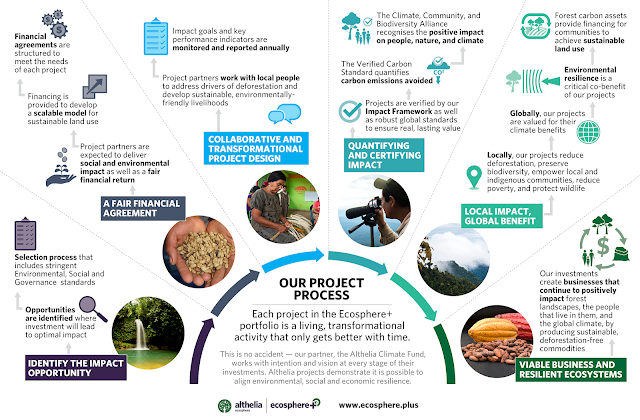 Each year, the Althelia Climate Fund publishes an impact report with quantified key performance indicators, setting out the progress from each project against seven impact criteria. Our projects are designed to address and support the aims of all 17 Sustainable Development Goals, allowing our customers to demonstrate measurable progress. In addition to our own ESG criteria, all our projects are independently certified by the Verified Carbon Standard (VCS) and the Climate, Community and Biodiversity Standard (CCB). Our projects also earn Gold level of distinction for various aspects of CCB such as adaptation, biodiversity, and community engagement. Each project’s methodology (e.g. VM007) and project design document is transparent and publicly available on the VCS/CCB website and must be validated by an independent third party. The Cordillera Azul project (ID 985) that Poseidon supports is validated by SCS Global Services. Additionally, every year, the credits claimed to be generated by the project must be verified by an independent third party. Cordillera Azul is verified by AENOR. Quantifying and valuing forest and ecosystem ‘services’ requires diligence and scientific rigor. Forest carbon projects have evolved considerably over the past twenty years to meet challenges and concerns about environmental and social impact. Enormous effort has been made to ensure the integrity and lasting impact of these projects through the development of independent standards such as VCS and CCB. And now leading brands and governments have made forest conservation projects like ours a well-established approach to achieving significant carbon emissions reductions. The VCS and CCB have robust measures in place to address leakage (ensuring deforestation is not simply intensified elsewhere) and permanence (demonstrating lasting climate benefits). The Intergovernmental Panel on Climate Change (IPCC) provided data which shows that we need to keep the global temperature rise within a ‘safe’ limit of below 2°C. Any higher and we won’t be able to adapt. Their findings influenced the 2015 Paris Agreement, the most significant international treaty on climate change. Its aim is to keep this average rise below 2°C, while aiming for 1.5°C. 195 countries committed to reduce their emissions. However, even if they stick to the plan, a gap of up to 19 gigatons of carbon dioxide equivalent still remains between what’s needed to hit the 1.5°C target and what’s pledged to be emitted in 2030. This huge gap is equivalent to taking all US homes off the electric grid, all the world’s cars off the road, and removing all global food waste for a year. With the historic Paris Agreement in place, we are entering a world with a finite ‘budget’ of carbon that can be emitted. A market now exists for carbon-positive ventures which can offset the gases released by outdated industries and harmful enterprises. Forests alone can contribute to a third of the emission cuts needed by 2030, but we need to protect them. Ecosphere+ recognise how essential forests are, and develop natural solutions that guard and value their pivotal yet underappreciated resource. Their emission reduction projects grant them access to high-quality carbon credits, rooted in the conservation of forests. A carbon credit is a permit which allows the holder to emit one ton of carbon dioxide. If an emitter doesn’t exhaust its carbon allowance, it may sell its remaining credits. If an emitter exceeds its allowance, it must purchase more to compensate. Carbon credits are also created and awarded to projects which demonstrably reduce or remove emissions. 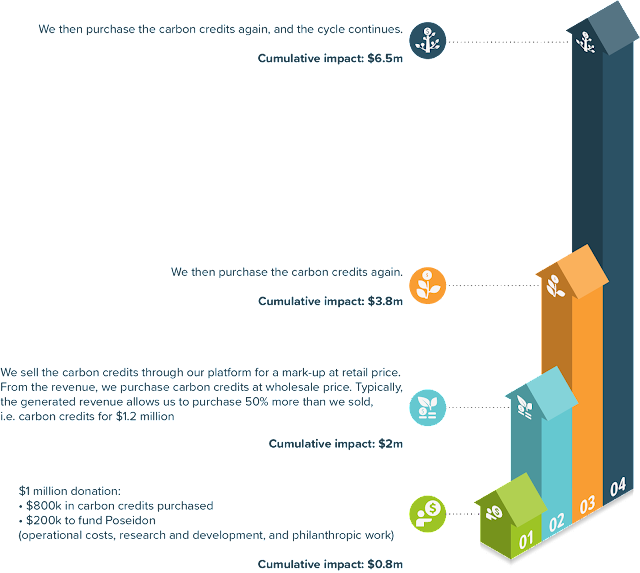 For each ton of carbon dioxide that is offset, the project receives one carbon credit, which it is then free to trade. Ecosphere+ develop vital projects like these. Putting a price on carbon in this way is the right solution, but it’s not working. The current market is disjointed, unstandardised and relies on outdated technology. Because buyers don’t trust sellers, they repeat their due diligence, adding expense, wasting time and risking double counting. And since everyone is dealing in tons, microtransactions are near impossible. This means the market is fundamentally disconnected from the real world. When we buy a product, it’s already responsible for an undefined amount of carbon. Whatever the amount, the damage has been done, and we’re not the ones paying the price – pollution doesn’t occur at the point of sale. Blockchain technology lets us divide carbon credits into grams, track them transparently, and process microtransactions. It’s an opportunity the world can’t afford to miss. For the first time, you’ll know exactly how much carbon your purchases cost, and just one tap can set them right again. The previously impenetrable carbon market is now yours. The carbon credits we will be offering do not readily exist. They need to be created by launching an emission reduction project. This process includes establishing a project (Initiated), validation by accredited organizations (Validated), and verification (Verified) by independent parties. Then, carbon emissions caused by consumer products and services are quantified and disclosed by participating retail partners (Attached). This enables consumers to address their carbon footprint by making eligible purchases during which carbon credits are used to offset these emissions (Retired). Currently, these processes are almost entirely manual and take place in isolation. We believe that our blockchain solution can streamline this process and provide a platform that will bring all the moving parts together, creating a paradigm shift in carbon markets. Using our platform, these steps will be linked to the Stellar blockchain, where we will store details related to each of them by processing transactions that update existing smart contracts, creating a transparent and auditable record of the entire carbon credit lifecycle. Any participating party will be able to look at the history of any carbon credit, and our platform will be able to show consumers the actual carbon credit they have retired with their purchase. In order to support the mission of the Poseidon Foundation, which has been self-funded until the fundraiser, we are conducting three public fundraising rounds between June 2018 and June 2019. During these fundraisers, contributors are able to purchase OCEAN tokens at a discount from Poseidon Operations Ltd or make donations to the Poseidon Foundation. In either case, contributions using Stellar Lumens, Bitcoin, and Ethereum are accepted. If OCEAN tokens are purchased, they are transferred to a new Stellar account that is automatically generated after payment has been received. Our private fundraiser, live until the platform launch in August 2019, has already been a major success. We have so far protected over 20 million trees, supported over 500 people, and protected an area of forest 24% larger than New York City. With your contribution, you’ll play your part in the collective effort being made by the world to reduce climate change. From the proceeds of the token sale, 80% be used to purchase carbon credits and 20% will be used to pursue the objective of the Poseidon Foundation. In case of donations, 100% of the proceeds will be used to purchase carbon credits. 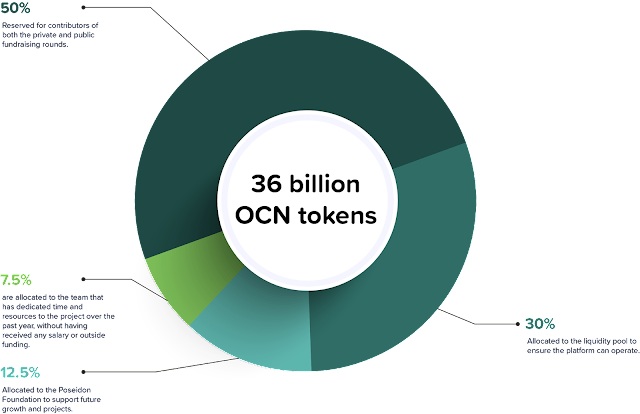 For the duration of the Fundraiser, the value of one OCEAN token has been fixed to the estimated value of the carbon markets, $10 billion, divided by the total number of OCEAN tokens, 36 billion, resulting in a token value of $0.2778. As Poseidon Operations Ltd is registered in Europe and therefore operates in Euro, an equivalent value of €0.2400 has been set for one OCEAN token until the platform launches in August 2019. The Poseidon Foundation is a non-profit committed to address the existential threat of climate change. 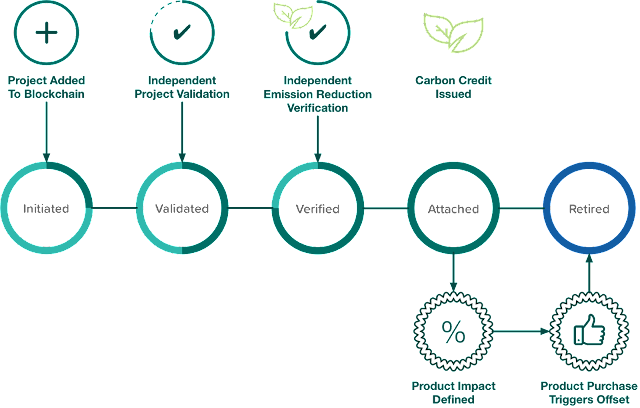 Poseidon Operations Ltd will ensure that 80% of the proceeds from token sales will be transferred to the Poseidon Foundation to purchase land-based carbon credits, while the remaining 20% will be used to pursue the objectives of the Poseidon Foundation. The revenue generated from the sale of the purchased carbon credits will be used to fund operations, purchase further carbon credits, and support further climate action. The spread between wholesale and retail carbon credit pricing will allow us to purchase about 50% more carbon credits with each cycle, allowing us to grow the impact we are having. Our non-profit foundation will be focused on maximising sustainable philanthropic impact, offering a unique model to our contributors. Please.com is revolutionizing the way travel is booked by offering travelers a broad array of comprehensive, pre-designed trips, based on their interests or the occasion for traveling. Trips are created by locals or avid travelers with knowledge of the area and can be booked with a few clicks or voice commands. Websites have long been gracefully degraded and progressively enhanced. It seems many DApp & Protocol developers have completely ignored it, we don't! Our cross-platform app (xApp) is a set of methodologies and good practices to develop an API-First and Protocol-First architecture for the future of the web. We haven't reinvented the wheel, we're just using today's best practices. We are transforming travel booking online by offering a fresh approach for travelers. Our marketplace does not only save travelers hours of time but makes booking, creating and customising trips across traditional, decentralized and sharing economies quick and easy. Voice is the future. Consumers are increasingly using their voice assistants at home and are looking for new ways to save time. Our bot is cross-platform and will guide travelers throughout their journey. 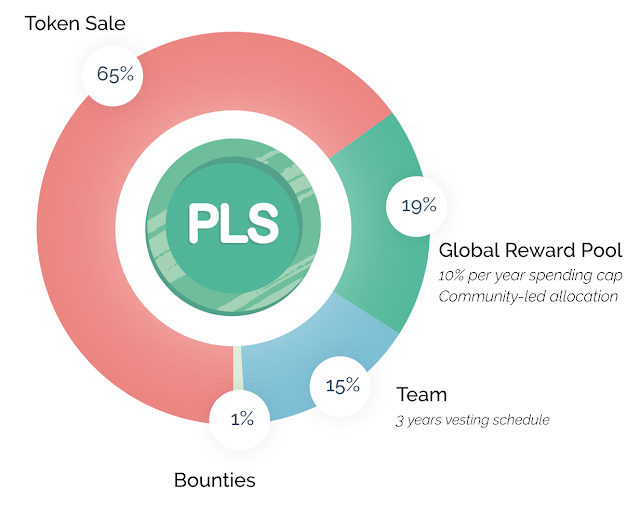 To keep the platform vibrant and active with engaged users, we created our own rewards system based on a digital token called PLS. We award these tokens to travelers, service providers and trip creators as they use our marketplace. Acquiring - The amount of PLS to be received will be calculated based on one’s EthicRank in order to reward the best members of our community. Staking - Please Prime Costs $49 per year and is due in PLS which are locked and returned back to the customer after one year, this is staking for the masses. Please Assembly members can increase their voting power by staking PLS. Spending - PLS can be used throughout our platform and ecosystem. We are all working FULL-TIME for Please.com unless otherwise stated, And we are always hiring new talents in our distributed team. Romain’s career spans for over 15 years in the digital space where he quickly progressed through many roles ranging from engineering to marketing. Kristi has over 15 years of marketing and communication experience, which includes leading team for well-known companies like The Disney Companies, MGM Grand and Living Social. Marcel has created usable and delightful digital experiences for more than a decade. Florent has more than 3 years experience as a business development manager for startups. Originally from Bordeaux, France, Florent has lived in five different countries while pursuing his studies. Anupam is a content marketing strategist. His career spans just over 5 years and includes working for Blockchain-centered companies like IBC. SOOM Blockchain 4th Blockchain is a platform-as-a-Service designed to meet the needs of organizations that want to make full use of the great potential of Blockchain without the costs and development costs, maintenance, and improvement of the network of networks complex nodes. Innovative features of the fourth Blockchain, such as clustering algorithms, the structure of a multiple-block, and the exploration of mobile, allowing the platform to support various projects based on the classic and based smartphones, in a variety of industries such as system payment, supply chain management, banking services or telecommunications and real estate. 4th Blockchain ecosystem will not only make use of cell phone technology, but will also improve the speed of operations, increasing security while limiting the cost of the transaction. To allow exploration of cellular, SOOM Tech has designed two groundbreaking consensus algorithm called POGS algorithm and Proof of a Transaction Verification (POT). The goal is to give every opportunity for smart phone users to benefit from the results of blockchain. An extra layer of security has also been designed in conventional double security system to prevent hacking smartphone during the transaction process. This is possible by creating a private key that is innovative, updated after each creation of a new block. The different between Ethereum and bitcoin is that Ethereum proposed to build a platform that extend the concept of bitcoin beyond the currency. However Ethereum wants to make a platforms where developers and entrepeneurs can build distributed application for the blockchain network without having to use the previous blockchain technology. Nowadays there is still a lot of platform using 3rd generation of blockchain most of them are trying to solve all the problems that appeared in first and second generation while in other way they are adding new concept and innovation to the existing cryptospace. 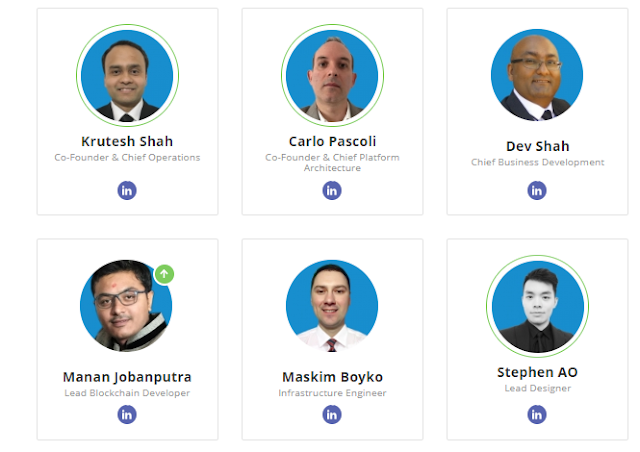 Their main goals is to solve the scalability, speed and energy consumption and they also introducing new approaches, technical structures, consensus algorithm and etc..
SOOM make this issues and problems into their motivations, by using the 4th blockchain generation they want to make blockchain application that could be accessed to a huge number of individuals, this 4th blockchain is a blockchain-as-a-service platform designed to fullfill the needs of organisation that willing to fully take the advantages of blockchain tremendous potential without have to pay anything and burden of developing. There are many blockchain projects on the market. SOOM has the opportunity to play with DASH. Being a motto for the future is not impossible for SOOM. This is one project that currently has technology that has never been heard before, such as Seele and AERGO. SOOM is a project like this that attracts all the interests of blockchain lovers. The thing that you have to know is that 4th blockchain generation have a lot of innovation and various features like grouping algorithm, Proof-Of-Transaction, and mobile wallet mining that allow the platform to support a tremendous variety of conventional and smart-phone based projects for big companies and industries such as payment systems, customer services, real estates, banking services, or even telecommunication. 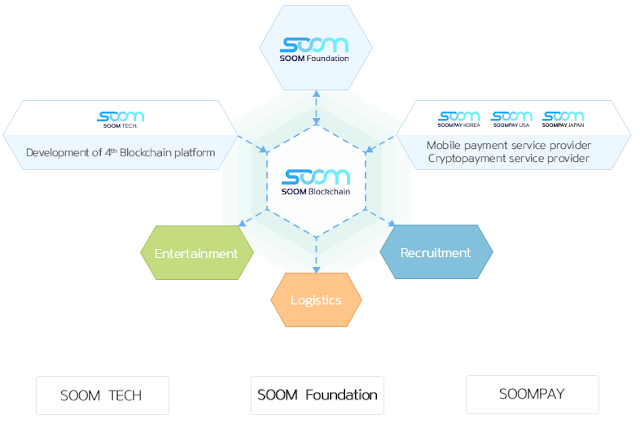 As mentioned above, 4th generation of blockchain is developed by SOOM TECH, is a blockchain-as-a-services platform for both conventional and smart-phone usage. SOOM TECH not only make mobile mining possible but also opens the way to do multitude performant, and of course secure also practical blockchain based applications by using their innovative consensus algorithm called Proof-Of-Group-Stake. The Foundation is committed to developing a robust governance structure and managerial assistance to general affairs regarding the overall operation and harmony of 4th Blockchain ecosystem. Presidency - Mr. Ki-Eob Park, Founder and President of the Board. Location - Established in Switzerland, Zug canton. Status - Non-profit organization, supervised by Swiss Federal Supervisory Authority. The Foundation is exclusively and directly serving charitable purposes. It does not pursue any profit and is not geared toward profit. Purpose - Overlook the development of 4th Blockchain ecosystem and support the evolution of the ecosystem. Governance - The Foundation board decides by simple majority vote. Board of trustees elected for one-year term. Re-election is possible for an indefinite period unless there is a reason for resignation. Supervision - Audited once a year by a Swiss external auditor. The auditor shall review the accounting of the Foundation and provide the board and the supervisory authority with the report on the result of the review. Promote 4th Blockchain ecosystem by supporting and financing research and development activities deemed appropriate by the board of trustees. Engage with various corporations, partners as well as banks, regulators and other third parties to the benefit of 4th Blockchain ecosystem. Educate the public about 4th Blockchain ecosystem. Organize conferences, conventions and other events that promote the ecosystem. SOOM Tech. is the corporate entity that is responsible for the development of 4th Blockchain core technology, maintenance of its network and expansion of the platform under the governance of SOOM Foundation. Presidency - Mr. Ki-Eob Park, Founder and Director. Purpose - Development of 4th Blockchain technology. Development of 4th Blockchain core technology. Maintenance of 4th Blockchain’s network. Development of SOOM Wallet. Customer support. Development and issuance of SOOM Coins. Custom chain creation and maintenance services. 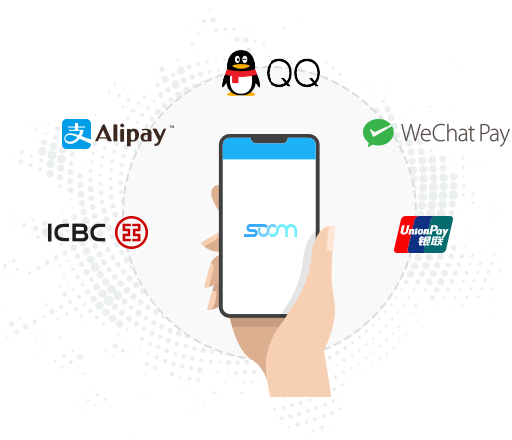 SOOMPAY is a S.Korea based mobile payment company providing merchants across Asia comprehensive solutions to support the major Chinese mobile payment services; Alipay, Wechatpay and Unionpay Quickpass. Merchants using SOOM Pay see transactions being automatically settled in their local currency while Chinese travelers enjoy seamless payment via their favorite mobile app. The company ultimately seeks to harmonize the mobile payment environment by gathering the majority of successful mobile payments providers worldwide into one single application, SOOM Pay. Meanwhile, SOOMPAY created a SOOM coin based reward mechanism to not only decrease its affiliated merchants’ transaction fee expenses, but also to encourage the use of 4th Blockchain and SOOM coins among merchants. Finally, SOOMPAY will be the first enterprise to take advantage of 4th Blockchain platform for the development of a mobile crypto payment service. The service will allow both customers and merchants to perform in-store transactions via the cryptocurrency of their choice, The service will be implemented into SOOM Wallet and state-of-the-art POS terminal called X-POS. No bank and third-parties commissions. No need to worry about high cross-border commissions. Useful for retailers and customers. Useful for countries where banking infrastructure is at low level. 4th Blockchain - By combining blockchain and time/space concept, 4th Blockchain benefits from increased processing speed and foolproof security. Space-time Algorithm - The time and space algorithms use values of time and space for time stamp and live positioning. 512 Node maintenance - Securing time is a common feature for storing data in a blockchain. With purpose to make mobile mining possible, SOOM TECH designed two innovative consensus algorithm named Proof-of-Group-Stake(POGS) and Proof-of-Transaction (POT) consensus algorithms. Based on these algorithms, 4th Blockchain core will be operating on P2P basis with widely increased speed. In addition, these consensus algorithms also speed up transaction. 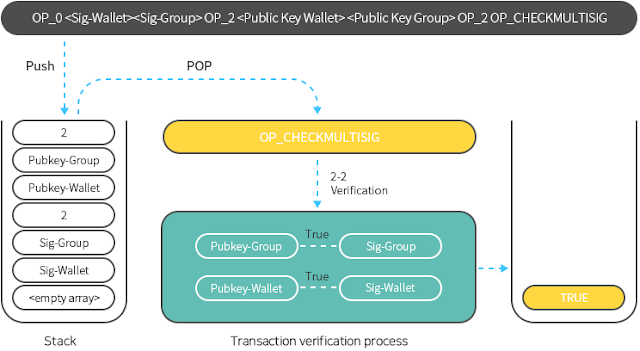 POGS (Proof-Of-Group Stake) - POGS consensus algorithm is developed by SOOM TECH, it uses Grouping technology, where each node is part a Group. POT (Proof-Of-Transaction) - Proof-Of-Transaction is a consensus algorithm to encourage transactions. The idea is to provide to nodes that performed a lot of transactions within a short time the opportunity to create a block. Mobile Blocks are generated through POGS, POT and POW in a 3-dimensional way by combining content, time and location data. Blockchain-as-a-Service : SOOM TECH will provide turnkey solutions for enterprises of all sizes and industries willing to incorporate Blockchain technology to their portfolio of services. 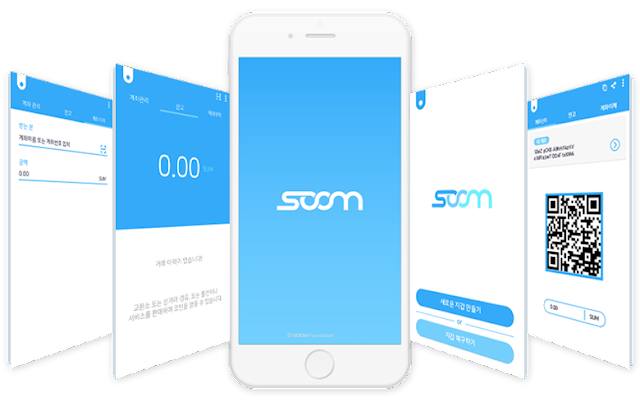 SOOM Wallet : In the first phase of its development, SOOM Wallet serves as an easy-to-use and secure SOOM Coin storage device on mobile and desktop. Partnership With Visa – Japan, ICO Submission. 2018, 12 - One Year Anniversary Conference – Jeju , Introduction of 4th Blockchain in Korea, SOOMPAY Operation in Cambodia. 2019, 12 - Introduction Of X-POS Worldwide, International Conference, Soompay Operation Debut. SOOM TECH take a lot of advantages than the other platforms that still running today, By using this 4th blockchain the versatility and security of 4th blockchain has nothing to doubt and it already attracted a variety other projects from multiple big countries and industries around the world. The ARAW Token, the heart of the decentralised payment ecosystem powered by the Ethereum Blockchain, we are aiming to increase blockchain adoption for regular people across the world. We are the first company in the world whose mission is to combine the benefits of the E-Commerce and Payment industries; provide end-to-end solutions for E-Commerce Marketplace, Touch & Pay Cryptocurrency Card, Online Cryptocurrency Payment, and Unified Reward System on the Ethereum Blockchain powered by the ARAW token. The goal of the ARAW token is to be a part of everyone’s day-to-day online & in-store shopping without needing them to change their shopping behavior or understand the underlying complexity of the Blockchain technology. The Decentralised Payment for E-Commerce Ecosystem. ARAW PAY - Accept online payments with a click of button. ARAW TOUCH & PAY CARD - Enabling instore micropayments. TRANSPARENT - Transparent ecosystem to increase adoption rate. ADOPTION - Increase the ARAW token adoption by merchants. PLUG AND PLAY WIDGET - Design and implement Araw Pay online widget which can be plug and play on any websites. CASHBACK - Easily redeemable rewards and rapid cash in will encourage customers to use ARAW card for all their shopping needs. EASE OF USE - Intuitive user interfaces making it feel like second nature thus user do not notice the advance technology that power purchases and rewards system. MERCHANT ADOPTION - Targeted and specialist resource dedicated to merchant on-boarding and support to ensure every client campaign is a success. GROWTH - Specific campaign management assistance to help clients maximise adoption rates. 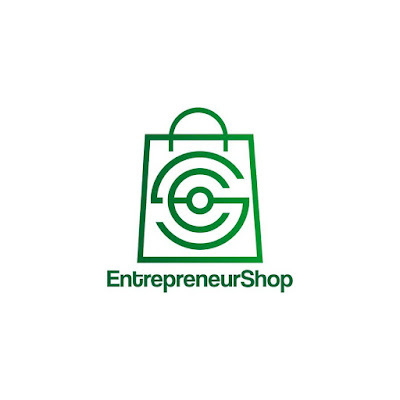 END-TO-END SOLUTION - Provide end-to-end solutions for E-Commerce Marketplace, Touch & Pay Cryptocurrency Card, Online Cryptocurrency Payment, and Unified Reward System powered by the Ethereum Blockchain regulated by the ARAW token. SELF MANAGED - Create a Consumers driven floating ecosystem. The Araw Platform is aiming to contribute to the global Blockchain User Adoption across regular people by intuitive and seamless integration of vastly used E-Commerce channel with the Decentralised Payment. Araw pay will be an open widget to accept payments in ARAW tokens with a click of a button. We aim to provide seamless Araw pay solutions in Araw mobile & web wallet, open API platform, and Araw e-commerce marketplace. The goal of the ARAW token is to be a part of everyone’s day-to-day shopping without them changing their shopping pattern. Araw - Touch & Pay card aims to enable customers to make micropayments at coffee shops, supermarkets and day-to-day online shopping. Top-up or cashback ARAW tokens to the linked bank accounts. Exchange ARAW tokens with other cryptocurrencies (like ETH and BTC). The Araw e-commerce marketplace leverages Ethereum smart contracts for exchanging goods with ARAW tokens. Direct exchange of goods and services between interested parties. The Araw Ecosystem was carefully designed from the beginning as a supportive sphere in which users can be confident in their trades on the Blockchain. To capture a variety of users, we have provided an ecosystem platform that is scalable and effective, yet simple over the Ethereum Blockchain, where customers and brands can interact without restrictions in a dependable, trustless, and mutually beneficial manner. On-chain vs Off-chain Transactions: The Araw platform acts as a mediator between the raiden network to handle off-chain transactions & the crypto exchanges to manage on-chain transactions. The liquidity smart contract will be responsible for handling off-chain transactions in decentralized way. The ARAW Token is an innovative cyptocurrency solution that is set to revolutionise and transform E-commerce into banking and finance industry. Yes, it is possible for banks and financial institutions to utilise the technology and business performance of e-commerce to promote their services to the customers. 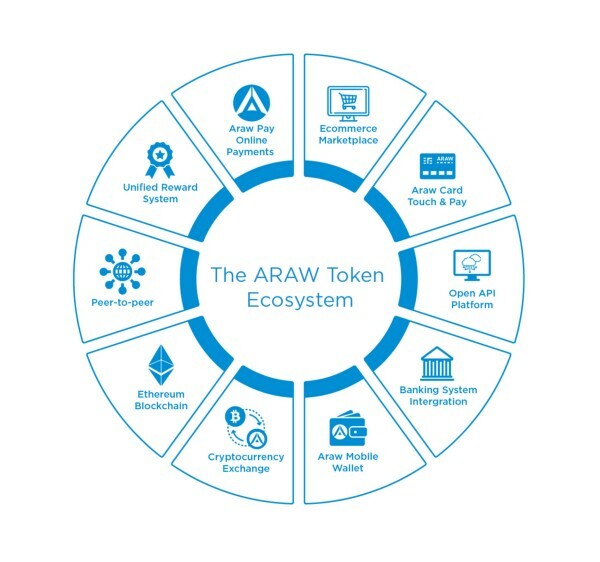 ARAW token e-commerce offers a business opportunity for banks to provide fresh products and services to meet the requirements of e-commerce through the introduction of our ARAW card and ARAW TOKEN. This new business situation connected to ARAW e-commerce provides an opportunity for institutional innovations in banking and finance, which can assist to lay a more solid foundation for financial system globally. Prior to the introduction and wide acceptance of e-commerce, the conformist and conventional banks were thinking the Internet as just a new distribution channel. However, that notion has been changed since the advent of e-commerce. Currently, practically all the financial institutions both micro credit banks and esteemed Wall Street investment banks can no longer do without investing in internet banking. Not only that, they have as well discovered that they need to take actions to encourage their customers to make use of it. In addition, customers of the bank who like the convenience of shopping online may look ahead to their banks updating their services to meet their needs. Nevertheless, banks and financial institutions ought to do more than just become Internet savvy and embrace e-commerce applications. 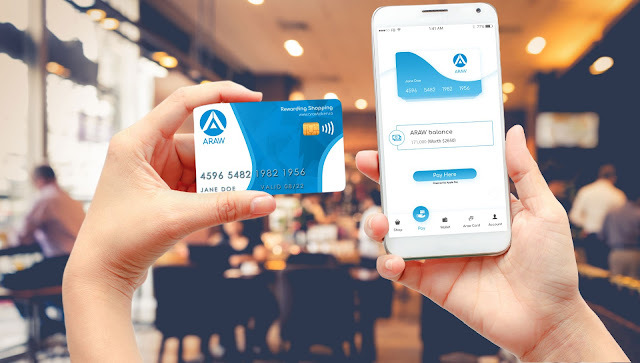 The ARAW micropayment solutions combine the potentials of the ARAW tokens: a blockchain-based unified reward cryptocurrency specifically built for the E-commerce stores, to address and bring everlasting solutions to the inherent challenges of the existing micropayments industry. The ARAW Token platform is in line with the global micropayments ecosystem to meet the demands of consumers and our participating merchants. Because of the exciting features, the ARAW Token micropayment platform is unique and different from the giants in the industry. These features such as product/retail management, merchant payment solutions, order management, invoicing management/support, and product support tools make the ARAW token micropayment platform exciting and exceptional for all consumers and retailers in the global E-commerce space. The ARAW token platform will offer transparency for the micropayments services and apply high standards of business and ethical conduct for our users. The ARAW token aims to transform the poorly utilised multi-branded loyalty industry. Consumer makes a purchase from Merchant-1 using Fiat currency. Transactions registered into Araw Platform. Consumer rewarded an Araw tokens. Consumer redeems these Araw tokens to purchase items from Merchant. Carried out using the ARAW Tokens, the micropayments industry has already built a distinct economic branch in the global crypto-space. Inspired by the ARAW Token Platform, this development is now a modern era for many E-commerce stores as it enables a significant growth in efficiency and effectiveness of monetizing the retail and E-commerce stores. Lux Ant Digital gives back the power to the people with the Blockchain and Smart Contract technology. We work to live, we do not live to work! Lux Ant Digital is formed by a team of professionals with extensive experience in alternative investment strategies, in which we seek to improve day by day in many of the operations already known and apply them in the new era of digitalization. Lux Ant Digital aims to reach the scale to offer traditional services and emerging banking products encompassing the environment of the Blockchain era. Our trained infrastructure of experts specialized in heritage management, we offer a wide range of solutions for the most studied diversification and analyzed every detail. The project is focused on the creation of a electronic banking using Blockchain technology to reduce costs in third-party services, smart contracts and our own amazing Trading Bot. The development of the ALUX BANK project for the creation of a cryptocurrency bank will give you the following advantages at buy tokens. You can build close relationships with customers, suppliers, family, etc. and control the experience of buying, selling, sending money and / or digital assets from login to the end of the transaction. Lux Ant Digital Smart Contract apply where intermediaries do not exist and thus reduce service costs. 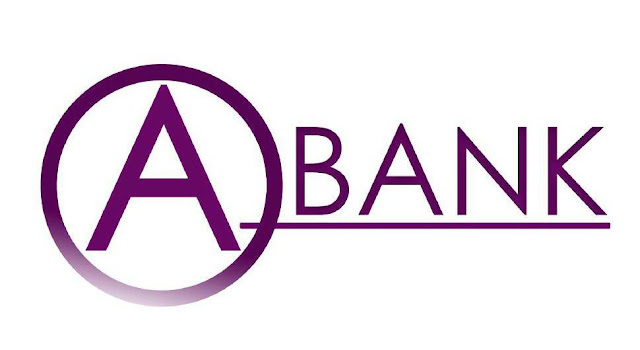 Which we want to give the capital to other users to be able to proceed with the lending or investing in some published project, it will be able to be done by means of the Smart Contract integrated inside Alux Bank's platform. With the APP Alux Bank, you will be able to carry out negotiations such as the sending of money, saving, collections of lists or other payments, currency conversions, on-line purchases and requests of micro-lending's, as well as others. 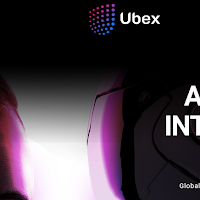 With the platform of Digital Lux Ant presented as an Electronic Banking, you will be able to begin relationships with your clients, suppliers, relatives, etc, and to control the experience of purchase, sale, sending of money and/or digital assets from the beginning of the session until the end of the transaction. The innovative emission of debit card payment, it allows us to give the approach to design a simpler card. This action is functional, without the need of a chip and/or a pin, using a simple QR code that Alux Bank links directly with said bank account. From our ATMs, partner shops or Alux Bank mobile APP, you can make conversions of any currency, instantly and with the minimum commission. With the ease of access to an account offered by Alux Bank, you can start saving and see how your money grows day by day in our cryptocurrency bank. 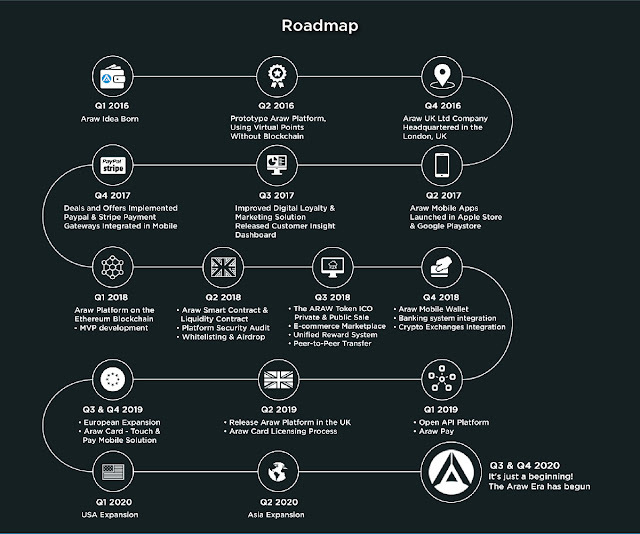 The main idea of causing the growth of the Alux banking network is a way of promoting its use, close contracts with businesses and collaborating companies for the issuance of cards and recharges thereof, and even that they have our ATMs in their premises. Website + Token Dynamic & Supply Structure, Whitepaper V1 & V2. Q3/Q4 - EDE Constitution, External Administrative Procedures, Bounty Campaign, Airdrop, Whitepaper V3, Software & Patents. Q1/Q2 - Electronic Bank Platform, Alux Bank APP Developer, Issuance of Payment Solutions, Alux Bank payment card. Q3/Q4 - Internal Administrative Procedures, Intern Social Network, I+D+i Plan , Start of Dividends to the Capitalist Partners. Q1/Q2 - Regulated global financial manager, Generalized implementations with more partners and developers. Q3/Q4 - Collaboration with Financial Institutions. This is a vital part of information system security management, planned and tested, which is now more commonly known as cybersecurity, Contingency Plan, When we talk about business continuity we refer to the ability to survive the “bad things” that can have a negative impact on the company. We are the first ICO that seeks the alternative to traditional banking, we fight for the right of all. Lux Ant Digital gives back the power to the people with the Blockchain and Smart Contract technology. We work to live, we do not live to work! Lux Ant S.L. is a technological startup that focuses on projects and developments related to Blockchain and Smart Contract. Melupakanmu tak semudah saat aku jatuh cinta kepadamu.